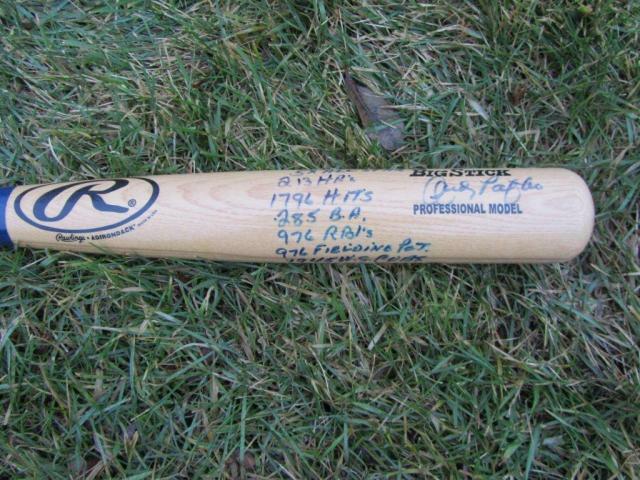 Here's a rare piece of memorabilia from beloved Cubs and Phillies player Andy Pafko. 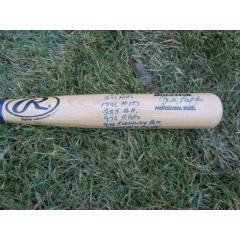 This Rawlings Professional Model Big Stick Bat is autographed by Andy Pafko, who included eight (8) inscriptions detailing some of his career accomplishments. 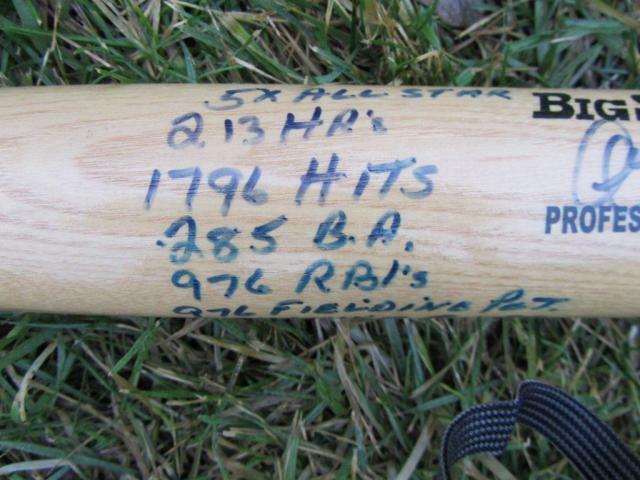 Among those he listed in blue marker on the bat barrel include "5x All Star," "213 HRS," "1796 HITS,".285 BA," "976 RBI'S,".976 FIELDING PCT" and 1945 WS CUBS &1957 WS PHILLIES. This is a unique item that will make a nice addition to any collection. Buy it now and receive a FREE bat display from BigTimeBats.com. Due to the rare nature of this item we must charge your credit card for the full price immediately upon receiving your order. This ensures we reserve the bat for you. We will confirm your order by Email. This bat is not game used. This bat is in stock and will ship immediately.